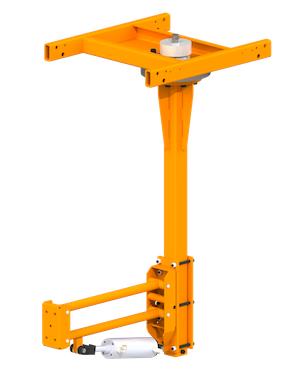 Knight’s AAA4000 Light Duty Articulating Pneumatic Arm is a parallelogram arm used to lift, rotate, balance, and move product from conveyors, dunnage, assembly lines and more. 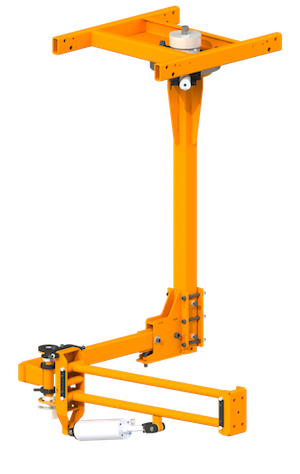 It uses a single cylinder in the rear of the arm to achieve greater lifting capacity, and therefore reduces fatigue by absorbing torque reaction and helping the operator lift and manipulate the product effortlessly. 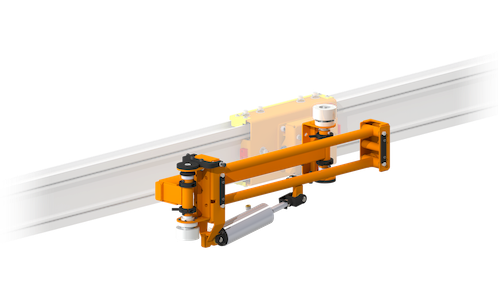 These Light Duty Articulating Pneumatic Arm travels inside Knight’s RAD4110, RAD6110, or RAD7510 Aluminum Series Rail Systems on the “X”, “Y”, and “Z” axis and features a variety of control configurations. 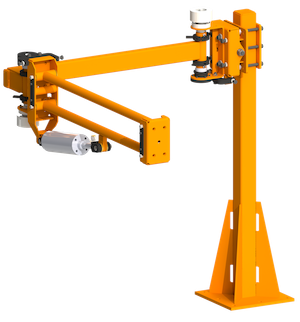 For more information on our Light Duty Articulating Arm contact a Knight Global representative. Max. Arm Length: Up to 36 in. [914mm]. Max. 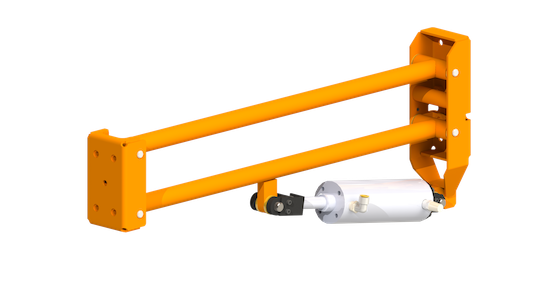 Extension Boom Length: Up to 36in. [914mm]. Max. 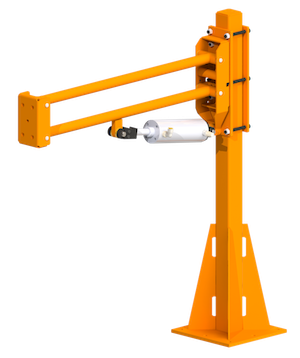 Vertical Arm Travel: Up to 36 in. [914mm]. Max. Vertical Mast Height: Up to 9 ft. [914mm]. Max. Pedestal Height: Up to 6 ft. [1828mm]. Max. Lifting/Balance Capacity: Up to 50 lbs. [23kg] at 100 psi [6.8bar]. (Capacity Varies with Reach – See Specification Sheet). 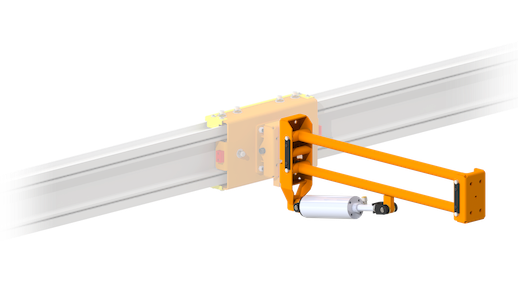 Overhead Mounted, Floor Mounted, or Linear Rail Mounted.